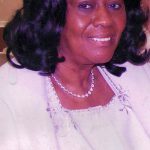 Carolyn Jennings-Bennett 75, went to eternal rest on Saturday, January 19, 2019. Funeral Services will be 11:00 A.M. Saturday, January 26, 2019 at Christ Temple Christian Life Center, 723 South 45th Street. Visitation with the family will be from 5-8 P.M. Friday, January 25, 2019 at the church.